Edward J. Bragg was born in Marion IN, June 13, 1957. He was born again on June 13, 1971, while visiting his sister in West Hollywood, FL. He answered the call to preach in July of 1973 and upon graduation from high school, he enrolled in Hyles-Anderson College, Crown Point IN. He graduated with a BS in Pastoral Theology degree in 1979 and a Masters in Educational Administration degree in 1980. Edward married Debbie Getman in 1977 from their home church in Marion. Debbie was saved just before her 7th birthday and holds an earned certificate as a legal secretary. Her ministry has been to be the church pianist for over 25 years and she also teaches piano to 20 students from the Christian school and from the community. The Braggs have 3 children, all 3 are married; and they have 8 grandchildren. Their oldest, David, is an assistant pastor; Michael, is a Christian school principal; and their daughter, Jana, is an Elementary Christian school teacher. After working on staff at First Baptist Church of Milford OH as the school principal from 1980 to 1986, Bro. 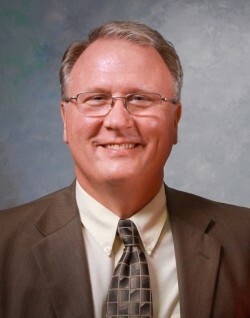 Bragg took the leadership of the Lafayette Bible Baptist Church in Manchester MO, a suburb of St. Louis. LBBC doubled it’s attendance in 6 months and has been at full building capacity since 2005. Over 40 preachers have been called out of this church, four churches have been started, the church’s missionary budget is over $110,000.00 per year and LBBC surpassed the 1 million dollar mark in mission’s giving in 2007. Pastor Bragg would say, “Glory to God and shame on the devil!” Bro. Bragg was graciously given an honorary doctor’s degree by Oklahoma Baptist College in 2005. In June of 2014, the church moved to a new location with a Pacific MO mailing address, but our actual location is in Wildwood MO. Our name is the same, but the Lord gave us a beautiful newer facility with plenty of parking and 10 acres to grow on. As of June 2015, our church remains out of debt and looking for the Lord’s blessings as we grow in His grace. God has allowed Bro. Bragg to travel internationally since 2003. He has been to Costa Rica twice, India once, Israel, Canada and Mexico several times each. His desire is to encourage local churches to increase their missions’ giving and to assist good independent Baptist missionaries to accomplish their goals on their fields of service.